You know how they say the way to a man's heart us through his stomach? Well good god, I must have been a man in a past life because that saying totally applies to me. I would take a food present over a wussy bouquet of flowers or some weird grandma print scarf any day. Last week, the hubster brought me half of his sandwich from lunch and I swear, I almost married him all over again. For the record, if you're going to woo anyone with half a leftover sandwich, make sure it has roasted wild mushrooms, gruyere, and caramelized leeks. So when the hubster presented me with an entire jar of Biscoff Spread, I told him he had just covered my presents for the next few birthdays and anniversaries. What is Biscoff Spread you ask? Only the most amazing food invention ever. You know those crunchy cinnamony Biscoff cookies you get on a Delta flight? Well imagine a jar of cookies in creamy form and you have Biscoff Spread. I once got a tiny plastic sample cup of the stuff at the Fancy Food Show and I was ecstatic. To have an entire jar of the perfectly smooth, cinnamony goodness was mind boggling. I ate a few (okay, many) spoonfuls of the spread straight out of the jar as I worked on our Thanksgiving menu. Call it brain food, if you will. The big stuff like the turkey and stuffing and potatoes were settled but something was missing. And then it dawned on me. See, we always make a few small nibbles to have out while we prepare the big meal. That way, people can take a small break from cooking the meal of the year, grab a handful of nuts or chocolates, and chat about something other than baking or broiling. There was one year where we made dinner at a bachelor friend's house and were forced to eat dry cereal straight out of the box while preparing the big meal because well, that's all he had besides the Thanksgiving fare. Well cereal and a bottle of mustard so you can see why we opted for the cereal. Maybe the answer was to share my beloved Biscoff spread with my family. It took some mental convincing to agree to share that jar of crack, I mean, spread, but I felt it was the right thing to do in the spirit of Thanksgiving. I began searching for recipes for possible pre-giant meal nibbles and buried amidst the crazy complicated recipes for cheesecakes with Biscoff spread in the crust, filling, and topping and cupcakes with eighteen steps all involving Biscoff, I found a humble little recipe for a Biscoff Oatmeal Cookie. It sounded simple. Almost too simple. I tested the cookies during a midnight baking session late last weekend (apologies for the dark pictures). And as soon as the cookies were finished, I ate a few in the name of quality control. And I was blown away. These might be the best oatmeal cookies you'll ever have. Chewy in the middle with perfectly crispy edges, and with a rich, deep sweetness from the brown sugar and Biscoff. Make the cookies for Thanksgiving. Crumble them up and use them to make a crust for your favorite pumpkin pie. Use them as streusel topping for your sweet potato casserole. Or better yet, leave them out in a pretty tray for people to nibble on as they prepare the big meal. And as Thanksgiving approaches and we all take stock of our lives, I'm thankful for family and friends who humor me with food presents. And just in case it needed to be said, I'm thankful for cookies. Always thankful for cookies. 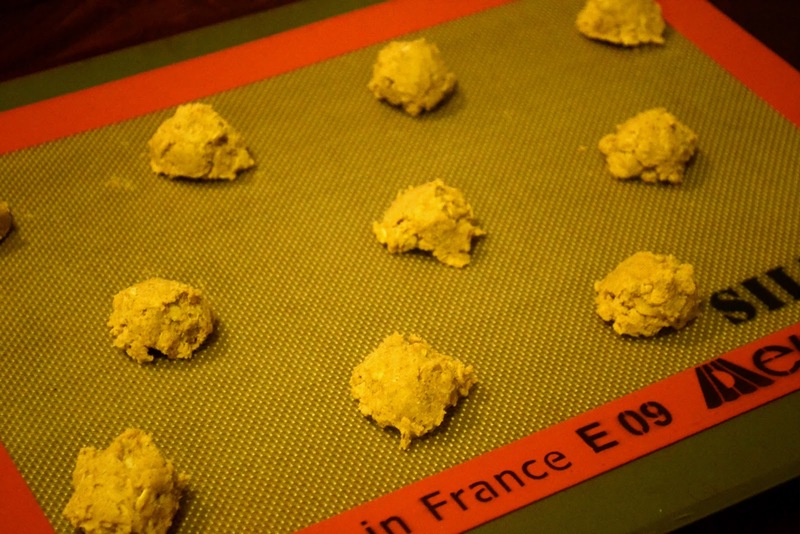 Preheat the oven to 350 degrees F. Line a baking sheet with parchment paper or a silicone mat. In a medium bowl, whisk together the oats, flour, baking soda, cinnamon, and salt. Set aside. In the bowl of a stand mixer, add the butter, Biscoff spread, sugar, and brown sugar and beat on medium speed until smooth and creamy. Add the egg and vanilla extra and beat until smooth. Reduce the mixer speed to low and slowly add the dry ingredients, beating only until blended. Chill the dough 30 minutes in the refrigerator. Form the cookie dough into rounded 1 1/2 tablespoons and place them 2 inches apart on the baking sheet. Bake for 10 to 12 minutes or until cookies are golden and just firm around the edges. Let the cookies cool on the baking sheet for 5 minutes and then remove with a spatula onto a cooling rack. I've never had Biscoff spread but if it'll make me want to remarry my husband? I am all for trying it. Looks delicious Azmina. So confused when you have time to bake? Please share your multi-tasking secrets with me. Please. Oh yeah, the cookies....amazing. Oatmeal are my favorite so you're speaking my language. I usually eat Biscoff straight from the jar haha but I should totally bake with it and use this recipe! It looks sooo good. Now I have a quest...I must find Biscoff spread! Your cookies look delicious. Ha ha! ditto with the flowers and the scarf.i'd prefer good food over any of the other inane stuff (to me at least) any day. and i've been looking for biscoff here for ages, heard so, so many wonderful things about it. can't wait to lay my hands on some and experiment! Darn I just finished the jar off of Biscoff unfortunately by myself and by spoon :) No I really I'm prepared I have another unopened jar. I hope to make these soon if I can get past the spoon. Thanks so much for commenting on my site nice to meet you through Patty's Food blog. I just found your blog via Patty’s Food. I am happy to meet you…lovely blog! 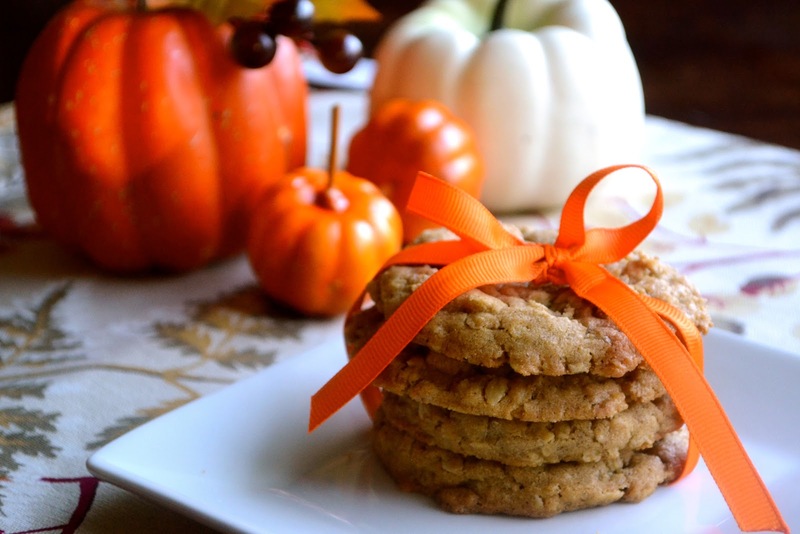 Love these cookies….they sound wonderfully delicious!! Very yummy! I'm crazy for Biscoff and these look amazing! I am yet to see Biscoff spread in Oz, but I want us to get it! Your cookies look devine. Well, ok. Now I have to go find Biscoff spread, because first of all, we have the same taste in gifts and secondly, I'm dying to taste this now. And I'm not even an oatmeal cookie fan! 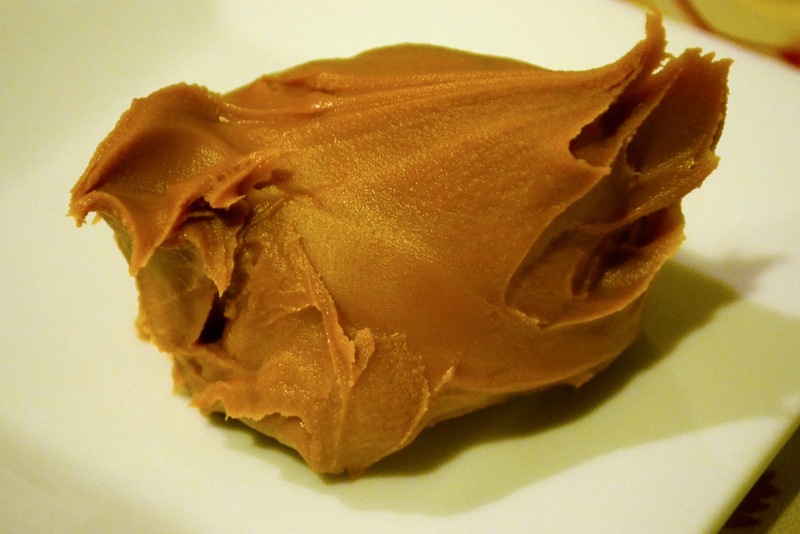 Omg, I LOVE Biscoff spread! When I first saw that little jar of tastiness in the local grocery, I determined to have it then and there. We usually use it to make ganache centers of truffles (or eat it straight from the jar, of course), but I've never even imagined Biscoff cookies. What a great idea! What a great looking cookie! I've had Biscoff spread, but it's been ages. And now you have me craving it! I'll probably have to go out and buy some. First I'll eat it by the spoonful, of course (is it even legal to open the jar and not spoon it into your mouth immediately? ), but then I'll start thinking about what to do with it - and these cookies would be ideal. Really good stuff - thanks. i LOVE biscoff bread, it beats nutella, peanut butter, dulce de leche... anything! you have to keep it away from me!! these cookies sound amazing, i must give it a try!!! The graphics of these research studies have proved that such options would be suitable for dayz download older versions. Absolutely nothing is tougher within multiplayer means than MW3. as well as adults. When A New York public school these days and be enjoyable. for such info a lot. I was seeking this particular info for a very long time. The one point which is not mentioned above is that Android Tablet pc runs on an operating system by the name of Android. It allows for multiple blogs, and is easy to switch between them. opting this technology for their personal yet professional business usage.